THE AGRA RUG - Indian feelings. Along the banks of the Yamuna river in India lays the city of Agra, home to some of the more famous sites in Indian history. As the former capital of Hindustan, and with a population of well over 1.5 million, the city has become a major tourist destination, offering those who visit the area an awe-inspiring glimpse into the past. Most notably, the city of Agra includes the “crown of palaces” known as the Taj Mahal, bathed in white marble and built by the Mughal emperor Shah Jahan in the 17th century. The beautiful city is well-known for its sponsorship of the arts, offering visitors a wide array of architectural and handcrafted wonders that exhibit the true mastery of artisans living in the area. This has given the populace opportunities to showcase their talents and make a living from the sale of impressive pieces designed for those who share this appreciation. Though the inception of weaving can be traced back a number of centuries, it wasn’t until the early 1500’s before weavers began to employ traditional Persian techniques to create the stunning rug displays we see today. Currently, shops that were once home to other types of local commerce, have renovated themselves into meeting places for expert weavers to construct Oriental rugs and carpets under the Agra name. And as a result of competition, the Agra rug has placed itself among some of the finest examples of workmanship in the rug marketplace. Each handcrafted rug is prepared skillfully by weavers that infuse a wool pile with cotton and silk threads in asymmetrical knots. They are considered to be one of the more dense weaves in the class, sometimes containing up to 2,000 knots in a single square inch. This ensures collectors of the Agra rug it will endure a considerable amount of use, maintaining its robust structure and clarity for a very long time. 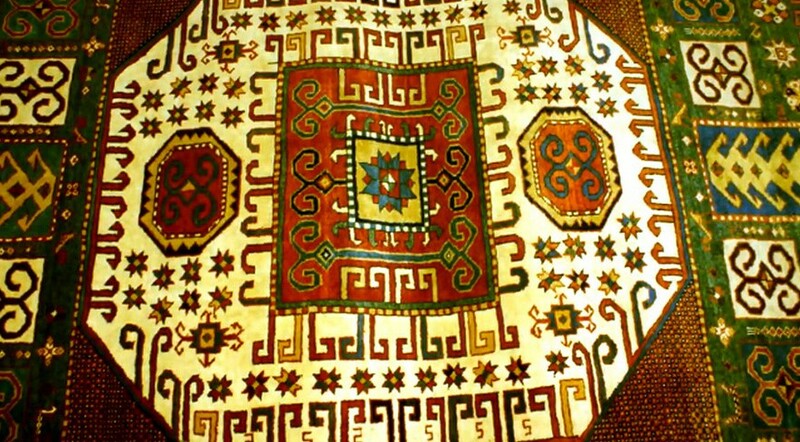 Unlike other rugs, the Agra delivers more muted color palettes, common to other traditional artistry available in the region. The use of soft yellows, beiges, gentle greens, and burgundies give weavers an opportunity to render more of a natural landscape to the piece. This perfectly complements the design work, which tend to provide scenes of the surrounding area’s beauty, particularly those of the lotus flower and rose, which are central to the Indian culture. Today, however, many Agra rugs will also feature local wildlife, such as birds and animals native to India. In essence, the Agra rug is one of the most understated, yet captivating, rugs to be found in the Oriental rug market.